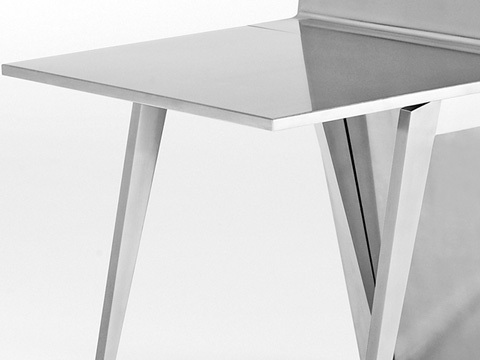 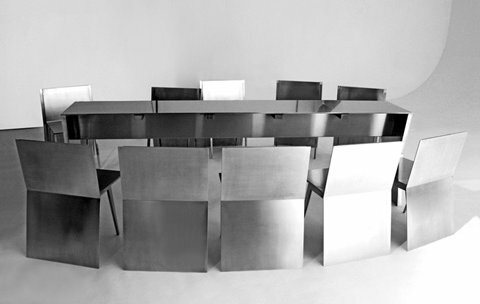 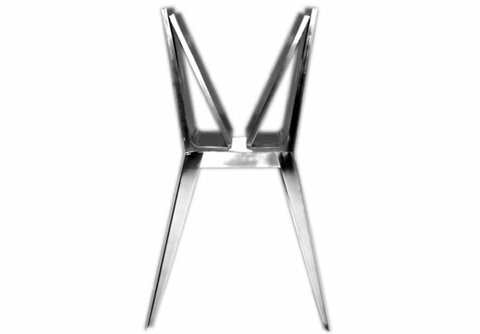 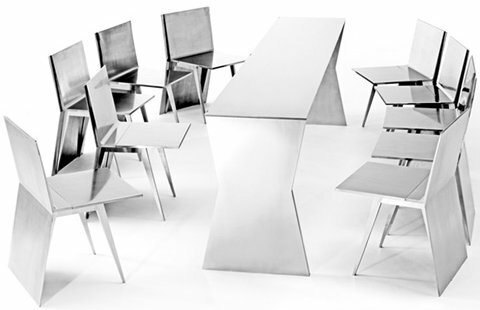 Fashion and furniture designer Gioia Meller Marcovicz has created the Monolith table and chairs. 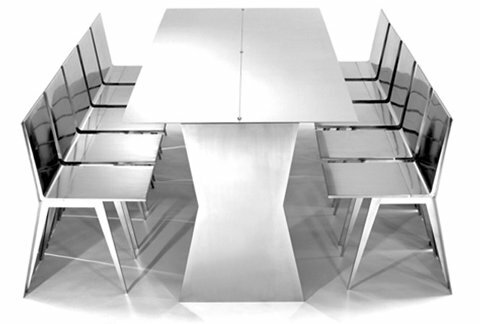 When not in use, the stainless steel table and chairs can fold up into a compact unit, but when needed can transform to dine ten people. 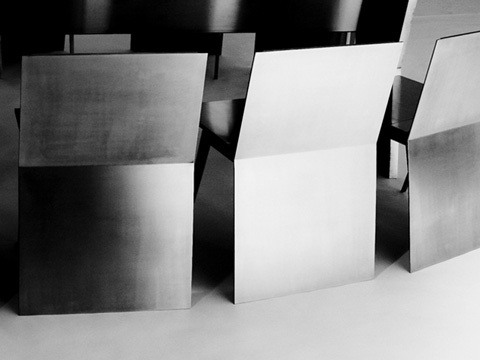 Visit the website of Gioia Meller Marcovicz – here.